Well this one certainly offers so much more than meets the eye! With so much on offer in comparison to similar style properties, this is one property not to be missed! 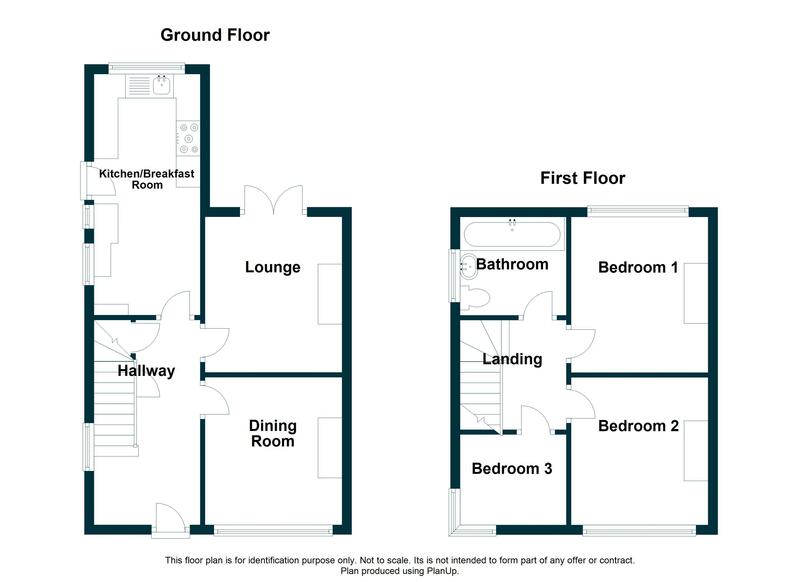 Sitting central to all this home offers is the immaculate presentation throughout; tasteful décor has been blended with the original character feature ensuring you’re provided with a ready to move in home. Situated within a highly desirable road in Vicars Cross, this semi-detached home is ideal for the growing family. Local amenities are on your doorstep whilst Chester city centre is just a short distance away. Upon entering, you are greeted with a wider than average entrance hallway which has original stripped panelled doors and parquet flooring. The dining room is a good size, being wider than average and offers a feature fireplace. To the rear is the lounge which has been finished with a beautiful log burner, perfect for enjoying those cosy winter evenings, and also benefiting from French doors which lead out on to the rear garden. The kitchen has been extended and now boasts a breakfast bar area, ideal for modern family living. No expense has been spared when fitting the kitchen itself, the tops are solid mahogany and there is space for a range cooker. To the first floor of the property there are three great sized bedrooms, all with large windows which allow in plenty of natural light. To the rear is the family bathroom which has been re fitted with a white three piece suite with a fixed rainfall shower over the bath. Outside; to the front there is ample parking for multiple vehicles and a gated side entrance for access. The fabulous rear garden is what really sets this property above the others; laid mainly to lawn it benefits from an extremely private aspect and has been fully landscaped. There is something for everybody in this garden, including a designated area to house chickens, two paved patio seating areas, hardstanding for sheds and a pleasant pond to finish it off. Homes that have been finished with this level of love are hard to come by, so time is of the essence when arranging your viewing. Open porch with tiled floor and wall light points. Composite entrance door with frosted glass inserts. PVC window to the side elevation. Staircase rises to the first floor with useful under-stairs storage providing hanging and shelving facilities. Original parquet flooring. Radiator and power points. Picture rail and ceiling light point. Internal doors lead into the dining room, lounge and kitchen. PVC window to the front elevation. Feature electric fire set within a faux marble surround. Radiator and power points. Picture rail and ceiling light point. PVC French doors open out onto the rear garden. Feature log-burner set on a tiled hearth, with reclaimed wood surround. Original parquet flooring. Radiator. TV aerial and power points. Picture rail and ceiling light point. The kitchen is fitted with a comprehensive arrangement of wall and base units, incorporating drawers and cupboards. The solid mahogany work-surface houses an inset porcelain sink with drainer and mixer tap. Tiled splashbacks to the work-surface are with power points. Space for Range cooker with tiled splashback and extractor hood over. Integral appliances include larder style fridge-freezer. Space and plumbing for washing machine and dishwasher. Oak breakfast bar seating area. Wood effect laminate flooring. Radiator. Additional power points. A combination of ceiling light point and recessed spotlights. Two PVC windows to the side elevation and an additional PVC window to the rear. PVC door with frosted glass inserts provides access to the rear garden. Frosted PVC window to the side elevation. Picture rail and ceiling light point. Internal doors lead into the three bedrooms and bathroom. PVC window to the front elevation. Built-in cupboard with shelving facilities. Radiator. TV aerial and power points. Picture rail and ceiling light point. Corner PVC window to the front and side elevations. Hatch provides access to loft space. Radiator. Telephone and power points. Ceiling light point. The bathroom is fitted with a white three-piece suite to include an inset tiled bath with waterfall mixer tap, separate hand-held shower attachment, fixed rain-shower head and glass shower screen. Wall mounted washbasin. Dual flush WC. Fully tiled walls. Extractor fan. Chrome heated towel rail. Recessed spotlights. Frosted PVC window to the side elevation. The property is situated on a larger than average plot and is approached via a gravelled drive which provides off-road parking for multiple vehicles, with dwarf brick walls, hedgerow and fencing to the boundaries. Access to the rear garden can be gained via a gated side entrance. The fabulous rear garden has been fully landscaped and enjoys a sunny and private aspect, not being directly overlooked. There are two paved patio seating areas with steps leading onto the designated lawn, and well stocked established planted borders which also incorporate a pleasant fish pond. A cast iron gate leads to a further garden area which is currently used to house chickens. There is hardstanding for garden sheds, outside lighting and cold water supply, and the garden is fully enclosed with panelled fencing. The large plot offers an increased amount of off-road parking. Refurbished original doors throughout. Many original features have been retained. Proceed out of Chester along the A51 Boughton and continue out of the city over the canal to the traffic lights at the Shell garage and turn left onto Green Lane where Grove Avenue will be seen on the left side after a short distance. View or download the Energy Performance Certificate for Grove Avenue, Vicars Cross, Chester.